A day ahead of India’s semi-final clash against Pakistan in the SAFF Suzuki Cup semi-final, India National Team’s Assistant Coach Venkatesh Shanmugam lauded Pakistan for their “character” and reaching the semi-finals coming back from a 3-year suspension. “They (Pakistan) have been thorough and sharp on the pitch. It’s not an easy job to reach to the semi-finals after a 3-year-long break. But they have made it possible, and that too in some style,” Venkatesh echoed. “Reaching the last four after a gap of 13 years shows their character and how motivated they are. We respect them as our opponents and it’s going to be a tough game for us,” he uttered in the official pre-match press conference. “We understand that there is a lot of madness around this fixture but we are considering this just as another match. We have to get the job done. 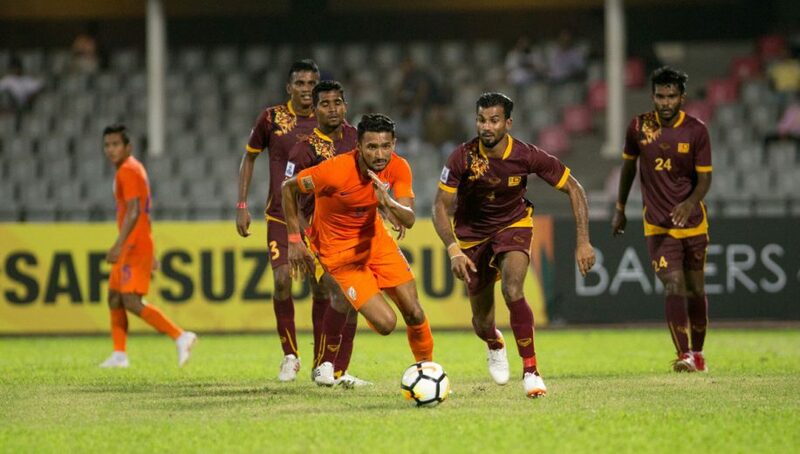 Only then we stand in with a chance to retain the SAFF Suzuki Cup, Venkatesh, a former Indian National Team Captain stated. India have had the upper hand against Pakistan in Footballing encounters having won 18 out of the 31 encounters so far. Even in the SAFF Championship, India have won 4 of the 7 encounters against Pakistan. “We have immense respect for India. They have come with a young team but we have seen their athletic prowess during the group stage. They have enough potential and intelligence to outplay their opponents on a given day,” Hossain commented. Brazilian coach Jose Antonio Nogueira stated that in spite of being well aware of the fanfare around the fixture, they are unfazed and focusing on just the game. “It’s going to be my first experience of an India-Pakistan match but I have been well acquainted with this sort of rivalry. But we have to concentrate on our game and stick to the plans to churn out a positive result,” Nogueira commented. The match is scheduled to kick-off at IST 7 pm and will be telecast live on D Sport.